Finding the right agent is one of the most important choices and actor or creative can make because all agents are not the same. 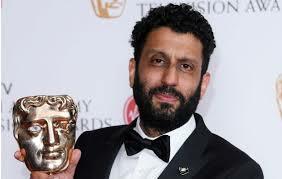 We pride ourselves in being driven by what is best for each individual client and put that at the centre of our decision making - in doing so our focus is always pro-active and it is a strategy that works - in 2017 alone our clients won 3 of the most prestigious BAFTA’S - Best Actor - Adeel Akhtar for Murdered By My Father, Best Comedy Actress - Phoebe Waller-Bridge for Fleabag and Best Actor (Scottish Bafta) - Mark Bonnar for Unforgotten, we are incredibly proud of all of them. Our clients have open communication with us and won’t find themselves depressed by unanswered emails or voicemails. HMCP clients consistently work in leading roles on quality projects across all genres, some examples include - Solo A Star Wars Story (Lucas Film) The Big Sick, Victoria and Abdul, multi-award winning play and TV series Fleabag (BBC3 /Amazon), Ghosted (Fox TV), Timewasters (ITV2), Apple Tree Yard (BBC), Unforgotten (ITV) and so on, stage includes Follies (National Theatre), Beautiful the Carole King Musical (West End and Tour), Instructions for Correct Assembly (Royal Court), Romeo and Juliet and Macbeth (RSC 2018) and it goes on… just check out our clients’ CV’s and the productions page for recent projects. Unlike many agencies we are happy to share our client list with you and you will see it is a very select group. All actors should set goals because without goals there will be no direction or focus to your career. It is our job to help decide on appropriate goals and strive towards them. It is a genuine collaboration with our clients and you will have a dedicated team to provide guidance and support. We strive to achieve the best work and strike the best deals for our clients and guide them towards making choices that lead to a long and successful international career. Success in the UK should also lead international success and to that end we work with a number of leading agencies and managers in LA and New York to ensure that our clients have worldwide career opportunities. We create opportunities - that is our job in a nutshell. We work with casting directors, producers, directors and writers to put our clients - both actors and creatives - in the frame for good work across all genres. For example, this year we introduced one of our rising stars to an eminent UK producer just for a cup of coffee and ‘hello’ we knew they would get on well and we were right and we now have a TV series in production for channel 4 with our client co-writing and starring in it. It depends on what you define as success. Have our clients rocketed to success after a call from Spielberg - YES they have! Anything is possible with a lot of talent and a bit of luck and great agent! We are members of BAFTA and the Personal managers Association (PMA) which works to uphold professional practice and standards in the industry. Only attach a maximum of one small image to the email. Please do not send showreels as files, links to Spotlight, Vimeo etc are the best way. We do review every email so please do not call the office to check we have received it. Due to a high number of submissions we are unable to respond unless we wish to take things further. Drama school students - we do try to attend as many shows as possible though if you wish to invite us please do so by email with the subject line ATT All Agents. We cannot accept postal submissions. For us to consider you as a client we need to see an example of your work - either a showreel or a production on stage. If you know we have seen you in a production please let us know. If you are inviting us to a production please give as much notice as possible, we are unlikely to be able to travel outside of London. A cautionary note, no reputable agency should seek to charge you for representation / submissions / photographs / auditions or anything else up front. Reputable agencies only charge commission on work they have secured for you, all agencies are legally obliged to provide a letter of representation so that commission rates are transparent and that you are fully aware of your and their obligations under the contract.